Thank you to everyone who came to JOE90. A special shout out to Maurici Ribera Torres who travelled all the way from Barcelona to Joe’s home town of Newent, now that’s commitment! 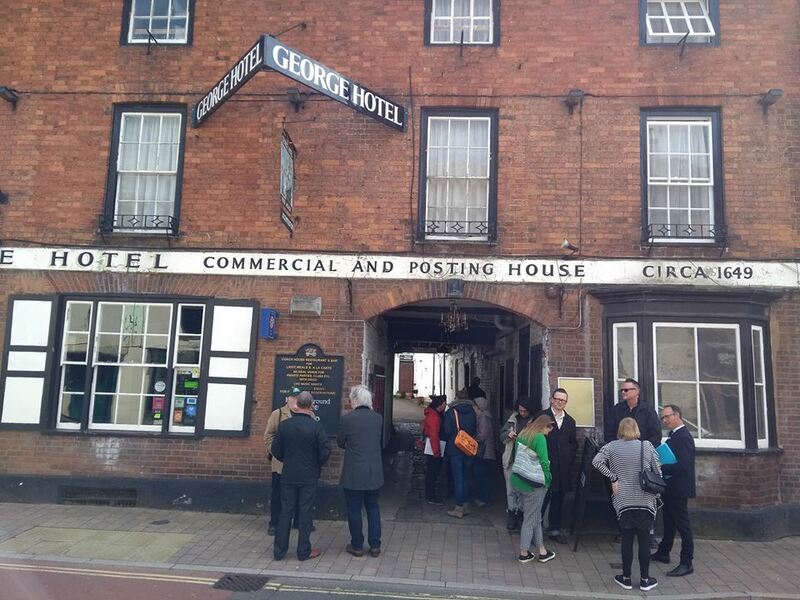 Put the 4th April in your diaries folks as we’ll be heading back to Newent for the 2020 Joe Meek event! A very BIG thank you to Francis McMahon on Tameside Radio for having our Chairman on his show again to plug the JOE90 event ..
Their music supervision work placed the 1964 rock song “Baby I Go For You” by a British outfit named The Blue Rondos in the film – and it’s a song that comes with its own weighty backstory. 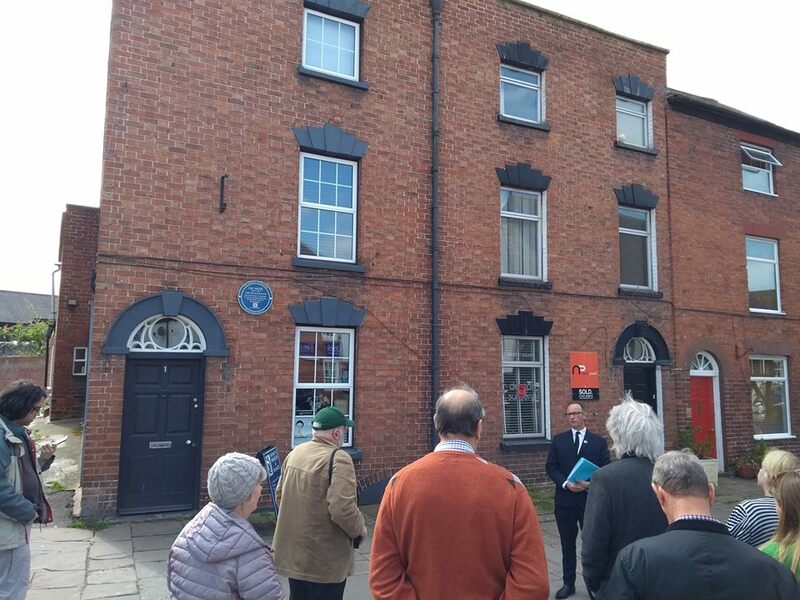 With Clem now having officially retired, it is left to Dave Watts & his cohorts to carry the Tornados’ flame – which they continue to do with some considerable aplomb. 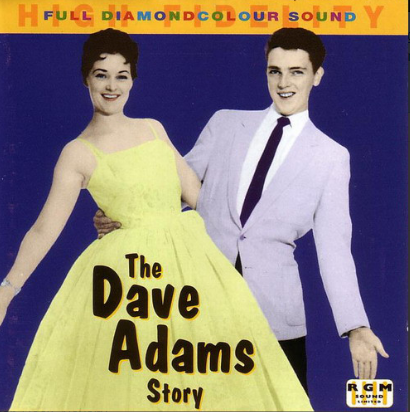 Dave was signed up by Joe Meek in December, 1964. 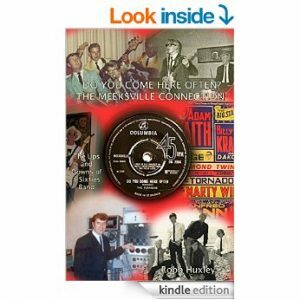 Thereafter he played / recorded with the Tornados during 1965 / 66 / 67 / 68. Dave’s line – up of the Tornados also backed up Billy Fury during 1966 / 67. Indeed, Dave Watts was, de facto, the Tornados leader and MD between 1965 and 1968 playing on their releases from “Early Bird” onwards. Additionally, bassist Pete Gill and lead guitarist Shaun Corrigan (who recorded with the Symbols) played on several RGM sessions at 304 Holloway Road in 1966. I’d say their Meek / RGM credentials are impeccable. 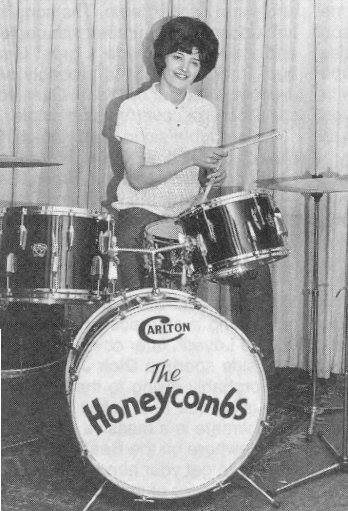 Plus, drummer extraordinaire Tristan Long was inspired by Clem Cattini and rhythm guitarist / vocalist Jamie Thurston is a huge Joe Meek fan. The Tornados are now appearing nationwide on various shows – both in clubs and theatres (50 + dates in 2019 already – details on the Tornados’ website). Fans are always asking them if they have any CDs for sale. Thus, in a way, the group are merely giving fans what they want. In essence, this CD is a reflection of aspects of their current stage act. Even when the Tornados were at their peak, they could never go out and play a complete set of RGM instrumentals on live shows / package tours. Indeed, it was exactly the same when Clem was touring between 1989 and 2016. 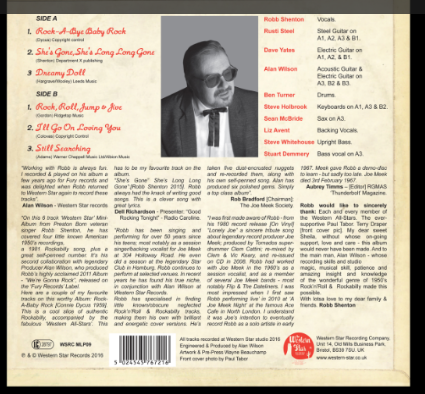 So, this CD covers all bases: RGM Sounds, Billy Fury, Buddy Holly, Eddie Cochran and more. Recorded and mixed by Tristan Long – the sound quality is exceptional. Very powerful, punchy and clean. These guys are very, very skilled performers. Every track is full of dynamic energy. Very committed performances as befits their devotion to the music they love. It shows. 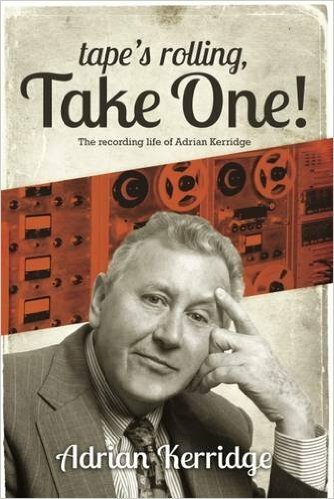 This CD can be thoroughly recommended to all Joe Meek / RGM / Tornados’ fans / 60s Music Lovers etc. 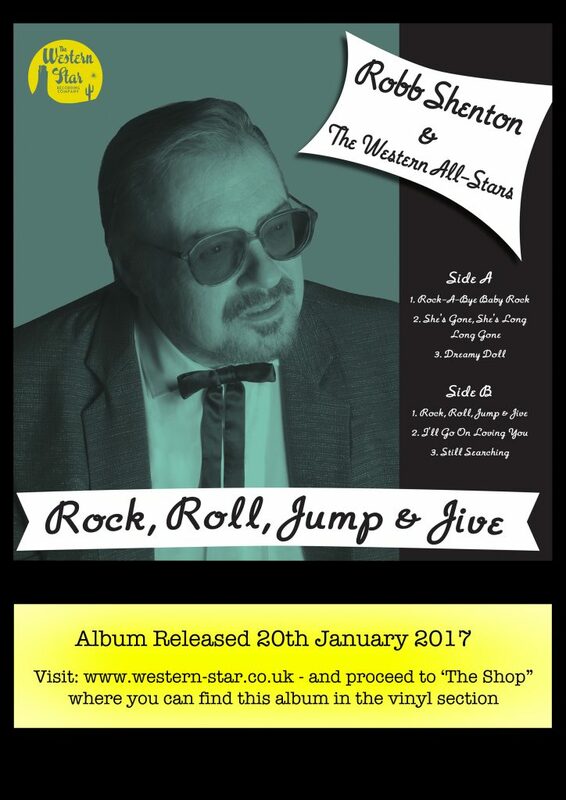 Jamie Thurston is a superb vocalist – and Billy Fury fans will love tracks like “Forget Him” and “Halfway To Paradise”. Great to hear Heinz’s “Just Like Eddie” (a number rarely covered) too – with Shaun Corrigan’s blazing lead guitar work. Dave Watts’ incredible keyboard work is heard to great effect on “Great Balls Of Fire” and, especially, a fantastic “Nutrocker” (featuring a superb quasi – classical opening utilising snippets of Richard Addinsell’s “Warsaw Concerto”). Finally – a blistering re-working of the immortal “Telstar” brings the CD to a fitting finale. At the moment, you can only get the CD directly from the group at their live shows or via their website – www.thetornados.net – for the princely sum of £10. Robb was a Meek produced artist with The Saxons and The Tornados. Official release from Western Star. 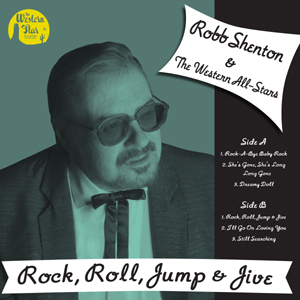 This is a wonderful project, featuring original 60s Joe Meek recording artist Robb Shenton backed here by our all star Western Star house band featuring the likes of Rusti Steel, Alan Wilson, Steve Whitehouse and many more. 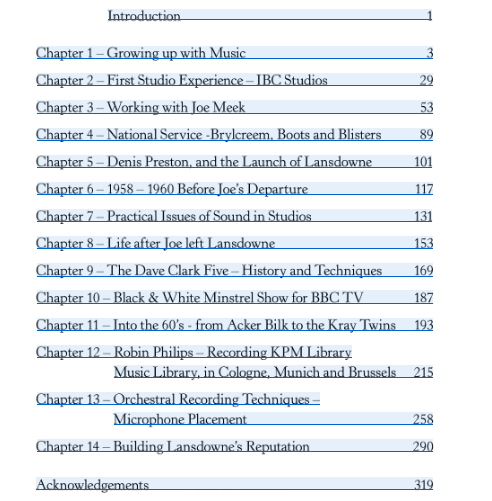 Malcolm Lenny (ex Packabeats) has a book out. While not a 100 percent Meek book he does recall his recording with Joe. 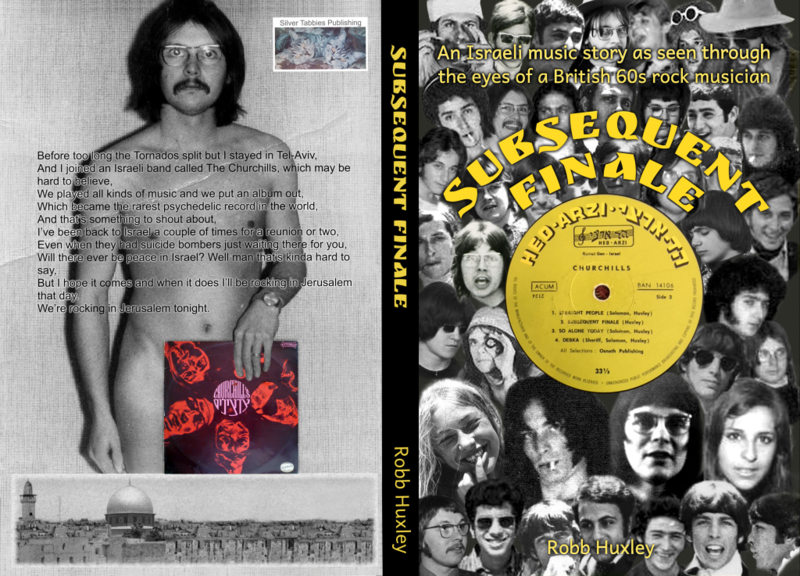 Just to let you know we are in the final stages of editing. There was a delay due to the sudden death of my father. 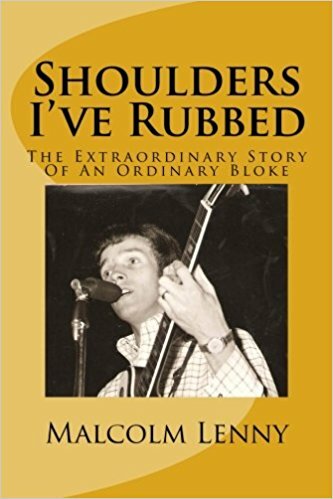 However, having worked closely with him in producing this book I have taken over its publication and we are working hard towards a date. As soon as that is available I will let you know. 1. Meeksville 2. Telstar 3. Runaway 4. Husky Team 5. North Wind 6. Eye Of The Storm 7. Wild Wind 8. M25 9. Green Jeans 10. All Shook Up 11. Wipeout 12. Here Come The Good Times 13. He’ll Only Hurt You 14. Loneliness 15. Sunday Date 16. Dreaming Of You 17. Heart Of A Teenage Girl 18. Teardrops Fall Like Rain 19. Big Jim 20. The Coalman’s Lament 21. Night Of The Vampire 22. Jack The Ripper 23. Little Sister (Live) 24. 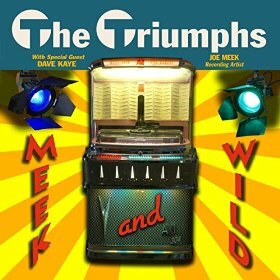 Have I The Right (Live) This is The Triumphs’ tribute to the work of famed record producer Joe Meek. 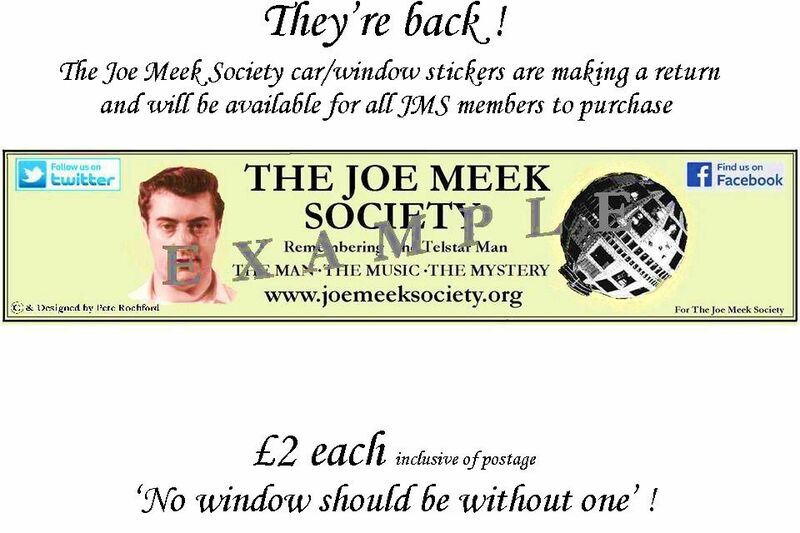 Joe recorded many styles of music and ‘Meek and Wild’ offers a ‘jukebox’ full of great sounds, both vocal (15 tracks) and instrumental. (9 tracks). All our Newsletters are still available as back issues and they have now been reduced to 10p (plus postage) – the same price as digital copies. Special rates available if you buy in bulk. There is a lot of information in these – specially the early ones edited by John Repsch and he used to answer letters in these too. Contact us if you are interested in back issues.